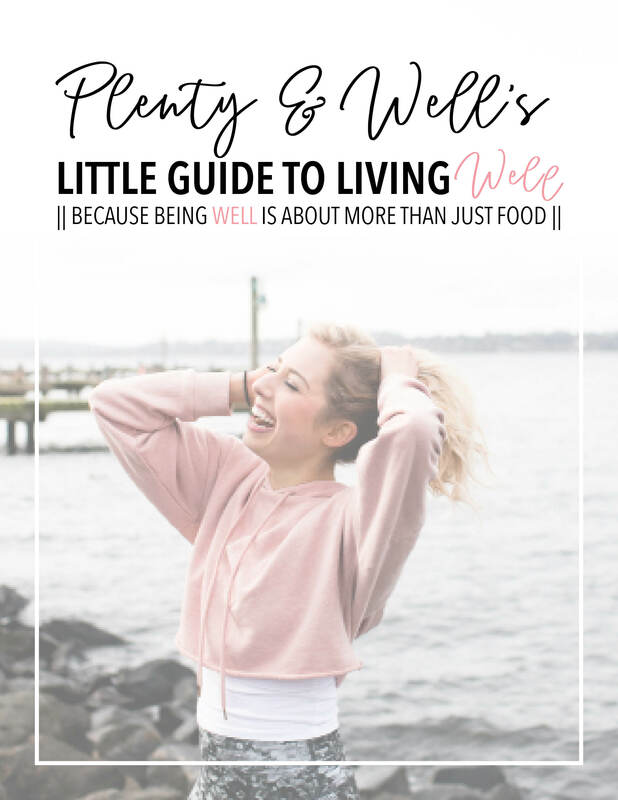 I’ve been wanting to write a health-update post for you all for so long now, but I just couldn’t quite get in the right headspace to do so. Because, to be honest, up until now I was struggling. A lot. Physically, mentally, emotionally. When I first went on Humira after my ulcerative colitis hospitalization last June (2018) I felt pretty good, to put it simply. It seemed to work well for keeping my ulcerative colitis at bay and it helped get that horrible flare under control. And so, I felt as if, because it was working for what it was “supposed” to help, that everything else I was feeling wasn’t validated. I thought the other effects I was feeling and seeing from the medication would go away after a while. I thought my body just “needed more time” to get acclimated. I thought I should be grateful for the medication that just about saved my life last summer, even if grateful was the last thing I felt. I tried so damn hard to stay positive. To act like it was no big deal when, every other Tuesday evening, I had to give myself a shot in my stomach or my inner thigh. To act like everything else that little shot did to me wasn’t dictating my entire life. The way I felt foreign in my own body. I’m not kidding you when I say I would wake up every day with such an indifference to life that it scared me. This feeling was extremely foreign to me and in all honesty, it scared the hell out of me. I felt crippled by the depressive feelings and even more crippled by the fear it caused me. It felt like someone had hacked into my brain and rewired my emotions and mindset and they were no longer my own. And my physical body? It felt foreign as well. Despite the medication “working” for ulcerative colitis, I never went a day without intense stomach pain. I never went an hour without being so bloated to the point that one day I even thought, “oh sh*t am I pregnant! ?” (which, mind you, would have been nearly impossible). I was scared to eat because no matter how small my meals were, how strictly SCD they were, how typically “nat-safe” they were, I would feel sick and so stuffed that it was if I had gone round three at Thanksgiving dinner. None of my clothes fit right, everything made me uncomfortable and I felt like I was living in someone else’s body and mind. I stopped wanting to go to the gym I so dearly love because I didn’t want to be around other people. I stopped wanting to make social plans. I stopped wanting to even do the work I love with all of my being (aka THIS) because the thought of trying to help and inspire others while I felt so lost and helpless scared me. I felt like a fraud. I felt uncreative. I felt scared. I felt alone. I felt crazy. I cried so many tears over those pesky little shots – tears over how my life was changing in ways I didn’t want it to. Tears over how I physically couldn’t lift my own mood each day. Tears over the fact that food no longer excited me because of the pain every food caused me. Tears over the fact that this disease wasn’t going anywhere. I’m typically strong as heck in the face of my autoimmune disease, but I finally hit a breaking point. I kept a lot of it to myself because I didn’t want how I was feeling to be put further into reality by talking about it. I kept hoping and wishing that maybe one day I would just wake up and everything would be “fixed.” No more bloat. No more anxiety. No more fear of each day. No more unexplained weight gain. No more feeling of wanting to hide in a dark corner and wish the days away. And ya’ll, I especially kept the struggle with the medication-induced weight gain quiet because I didn’t want it to come across wrong. So before I get any judgement just know that I know I’m still a small-bodied human. I know all that truly matters is that my body could still physically function well. I know that I am so lucky to have gained back the weight and strength from my flare last summer. I know that how my body looks does. not. matter. I finally broke down and talked to my mom about everything I was feeling – the fear, anxiety, discomfort, mental instability, physical changes – everything. So as my parents always do (because they’re amazing), they started digging, researching, looking for answers. And all answers pointed back to Humira. Although the side effects I was experiencing weren’t normally listed for Humira, so many studies have shown that anxiety, depression, mood swings, weight gain, etc. are all linked back to it. So after a lot of thought and deliberation, I decided I needed to change medications for the sake of my own sanity. I couldn’t live my life feeling the way I was. But, as I’ve talked about on my stories a few times, switching IBD medications is a total b*tch. Insurance companies make you “prove failure” on your current medication with no regard for how else the medication may be impacting your life. My doctor kept trying to tell me Humira wasn’t the cause and she flat out didn’t support my decision, but I knew she wasn’t in my body and she didn’t know how I was being forced to live my life (and she clearly also doesn’t do her research… but that’s a different story). A few days after setting my mind on changing medication, my body gave me a sign that the medication actually wasn’t even working for my ulcerative colitis. Although I knew this would hopefully make switching medications easier, I was crippled with fear. I spent that first day of the mini flare in almost constant tears, hiding in a corner of my office with the lights off just asking “why?” I kept picturing myself back in the hospital and I felt, to put it simply, hopeless. I was so tired of fighting – with my own body, with doctors, with my mind. I realized the flare I was in was a definite sign that I needed to slow down, big time. I started giving myself time to sleep in, taking it easy at the gym, eliminating all raw fruits, veggies, greens, full nuts, and any/all other foods I know can aggravate IBD (you can read my ulcerative colitis Q&A post to read more about this). And although I felt hopeless, I forced myself to bring back some of that hope. To be mindful and positive, because both are equally as important in any healing process. I went in and out of the doctors (what felt like) a billion times getting bloodwork and we found that my inflammation levels were indeed heightened. Not terribly, but above normal. I kept trudging ahead and, with the help of my family, decided to set my sights on a new medication – Entyvio. Did the thought of still being on a biologic medication scare me? Yes. Did the thought of having to go to the hospital for drawn out infusions exhaust me? Yes. Did that thought also make me feel like a lot of my freedom was going to be taken away? Also yes. But, my parents being the amazing support system that they are weren’t ready to give in to biologics just yet. They researched endlessly (literally I can’t thank them enough for all of the research they do for me) and found another medication to try before falling back on biologics again. The medication is off-label, meaning it isn’t typically prescribed for IBD called Low Doze Naltrexone. It’s a medication meant for alcohol and drug addiction, but studies have found promising, positive impacts on IBD as well. My naturopath was able to prescribe this for me and I’ve been on this medication for three weeks now and I’m so excited to say I officially took my last Humira injection two weeks ago. I have never felt so damn liberated than I did knowing that was my last one. Ever. I’m also working with a naturopath and recently took a homeopathic remedy she prescribed based on everything my mind and body have been experiencing lately (even outside of my UC – she factored in cravings, sleeping patterns, my daily mood and emotions, stress, anxiety… literally everything. It was amazing.). And before anyone asks, “well what is this remedy! ?” – just know that finding the right homeopathic remedy for YOU is an extremely individualized process. Like I said, my naturopath and I talked through my entire health history for over an hour before she found the right remedy. She also suggested I start taking digestive enzymes with every meal because I’ve done so many self-experiments and hadn’t been able to find any pattern in foods that may be triggers for the extreme pain and bloat I had been experiencing. And I know what ya’ll are wondering by this point – okay so how are you feeling now!? And ya’ll…. I’m feeling so. much. better. I think the mixture of stopping Humira, starting LDN and my homeopathic remedy, taking digestive enzymes and focus more on stress-reduction than ever before, have all mixed together perfectly to help. As dramatic as it sounds, I feel like a new woman. Looking at who I was even just a month ago feels foreign and it serves as such a reminder that we always get through the hardest of times even when it feels like we never will. I feel joyful again. I feel positive again. I feel excited for life when my alarm goes off again. I feel inspired again. I feel like being social again. I feel hopeful again. I no longer feel like I’m battling my body. I no longer feel extremely sick after every bite I take. I no longer feel like I could sleep the days away and not care. I no longer feel daily anxiety. I no longer find myself in tears almost every day. I finally feel like the warrior that I know I am again. And that warrior spirit is what I hope everyone with ulcerative colitis (or any autoimmune disease) can find. Just know – it’s okay to lose that warrior spirit. It’s okay to feel like you’ll never get it back. But you know what? It will. Let yourself cry. Let yourself hide in your room with the lights off. But don’t get stuck in that place. Don’t get stuck in the hopelessness. Find that inner strength and keep fighting. Your health and your happiness are so, so worth it. And you know what else has been incredibly eye opening? Since regaining my positivity and lust for life back, I’ve noticed the universe giving me little signs in my day-to-day life. Angel numbers are popping up multiple times a day giving me signs that the people coming into my life and decisions I’ve been making are being supported by the universe. It makes me giddy to see so clearly again after having my vision blurred by fear, anxiety and depressive feelings the last few months. I feel like life is all sparkly and shiny again and I’m so damn ready to keep fighting this fight. There will always be hard days with ulcerative colitis and I know there are no guarantees that my new plan will work, but all that matters is that I’m hopeful and ready to face the adversity that may lay ahead of me. I’m ready to keep embracing this life I’ve been given with open arms. I’m ready to answer my own question of “why me?? Why me? Because I’m strong enough to deal with this disease. Because I’m confident enough to never shy away from speaking out about it. Because my purpose in life is to help others who also struggle. So, I’m happy to say I’m finally feeling ready to keep kicking ulcerative colitis’s a** and I hope if you also struggle with IBD, that you’re ready to keep kicking it too. Warriors are stronger when we fight together.